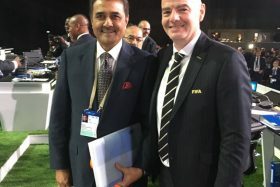 FIFA World Cup 2034 – Is it India’s way forward to finally invigorate its game? AstroTurf AstroLogic 2016 is held in Delhi and Mumbai! Copyright © 2019 Anglian Sports Management Group Pvt. Ltd. All Rights Reserved.